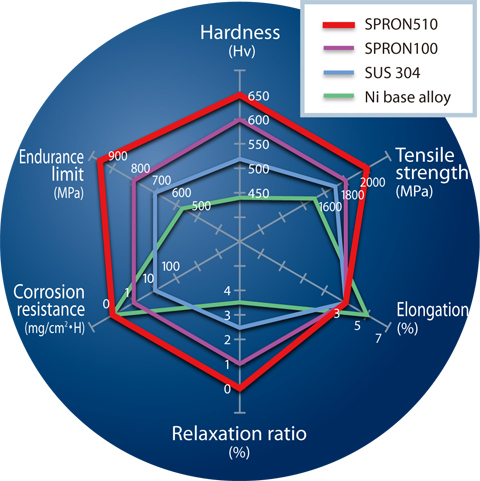 SPRON is a well-balanced material that has better mechanical characteristics (hardness, tensile strength, elongation, relaxation, corrosion resistance, and fatigue limit) than SUS304 and Ni base alloy. 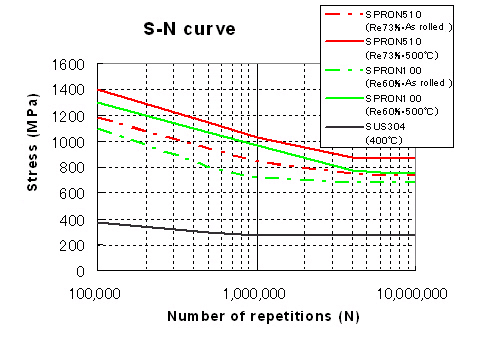 This graph compares the S-N curves obtained during a bend test of SPRON 510 and SPRON 100, which were processed at roll drawing rates of 73% and 60%, respectively, with the S-N curve of SUS304. 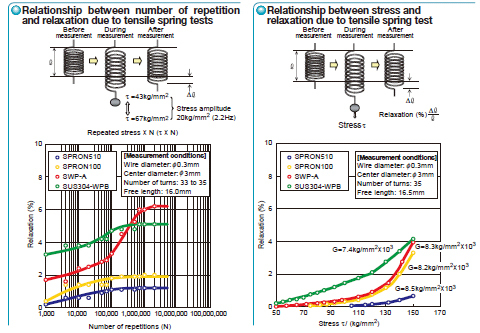 Fatigue due to both statistical and dynamic loads is very small, thus achieving large spring load by a fine spring. High fatigue strength against repetition makes it resistant to fatigue breaking. 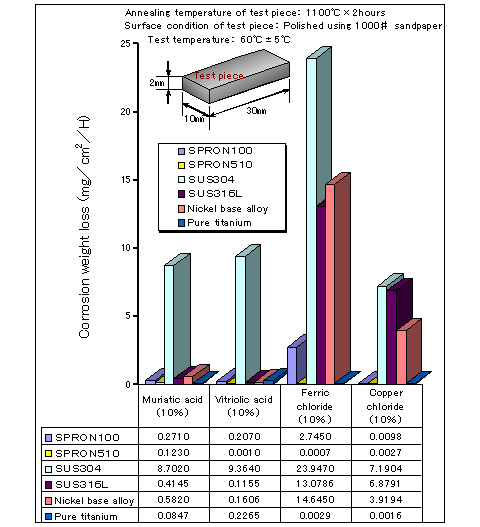 SPRON has superior corrosion resistance. 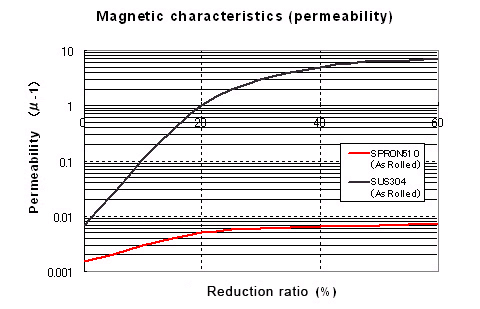 SPRON has superior characteristics even at magnetic. 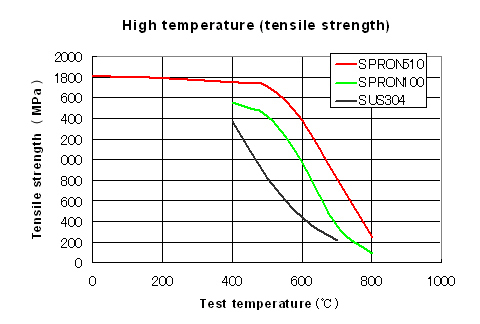 SPRON has superior characteristics even at high temperatures.